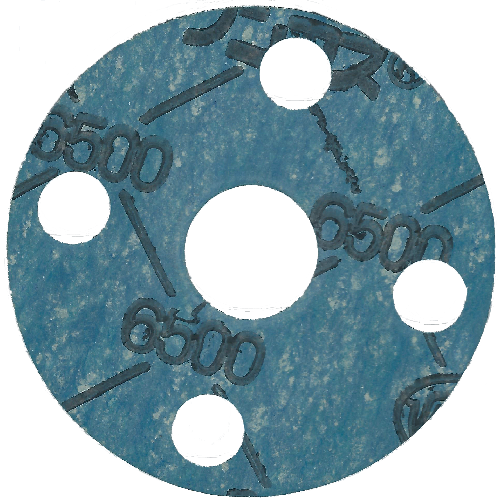 7925E Glass Cloth Adhesive Tape Impregnated with VALFLON® This tape is created by treating one side of No. 7920 and applying an adhesive. It is used as material for electrical insulation and releasing. P9060 TOUGHRETHANE Packing This product is molded from urethane rubber into specified shapes. It is used as various seals and machinery parts. P9060(TPU) Custom-Made This product is molded from urethane rubber into specified shapes. It is used as various seals and machinery parts. P9625-DRL (Urethane) Dust Seal This product is formed by molding urethane rubber into a sealing lip shape with a duster lip only. This packing is used for various types of hydraulic machinery operating from -20 to 80°C. It is especially suitable for locations requiring high-pressure and abrasion-resistant properties. P9625-DSL (Urethane) Dust Seal This product is formed by molding urethane rubber into a sealing lip shape with a duster lip only, and attaching metal parts. This packing is used for various types of hydraulic machinery operating from -20 to 80°C. It is especially suitable for locations requiring high-pressure and abrasion-resistant properties. PB4060 FLUORITZ-T20 Bonded Seal This gate seal plate is baked and integrally molded with transfer gate metal. It is used to resolve such problems as torsion, breakage, dusting, and dropout in O-ring seal materials that may occur in the transfer gate seal mechanisms of mounted O-rings used for semiconductor manufacturing equipment. It is adaptable to harsh gas environments in which ULTIC ARMOR bonded gate seals cannot be used. Prepreg Fluororesin Substrate Material This PTFE substrate for high frequency/millimeter wave use offers both excellent dielectric characteristics and low water absorption. It is used as equipment parts around high frequencies, such as antennas placed in high frequency areas. PSVO NEW VALFLON Paste Fluororesin powder that is water-dispersed using surfactant. Sealing coadjuvant for gaskets used in junctions that handle highly corrosive fluid such as strong acid, strong alkali and halogen or oxygen gas. It enhances sealing strength. PTFE Substrate Fluororesin Substrate Material This PTFE substrate for high frequency/millimeter wave use offers both excellent dielectric characteristics and low water absorption. It is used as equipment parts around high frequencies, such as antennas placed in high frequency areas. （PRBT） Penetration Rubber Boots Nylon cloth, lined with chloroprene rubber, EPDM rubber or silicone rubber on both sides, then shaped into designated form. Fastener connection. Band binding for connecting a mating component. Used on inside wall of c nuclear power plant building, and for sealing clearances around piping laid through floor.